I had some spare time at the beginning of the year, so I decided to try some new designs incorporating a sinamay base. The base is about half an inch high and sits like a raised 'saucer' on your head. I find it very trendy, and I'm excited to have more and more people rocking this style. 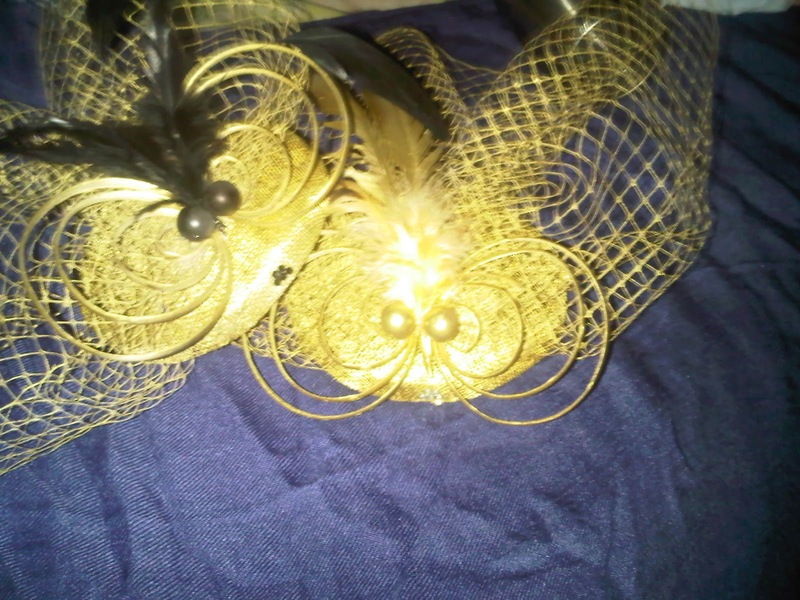 These designs haven't been named yet. 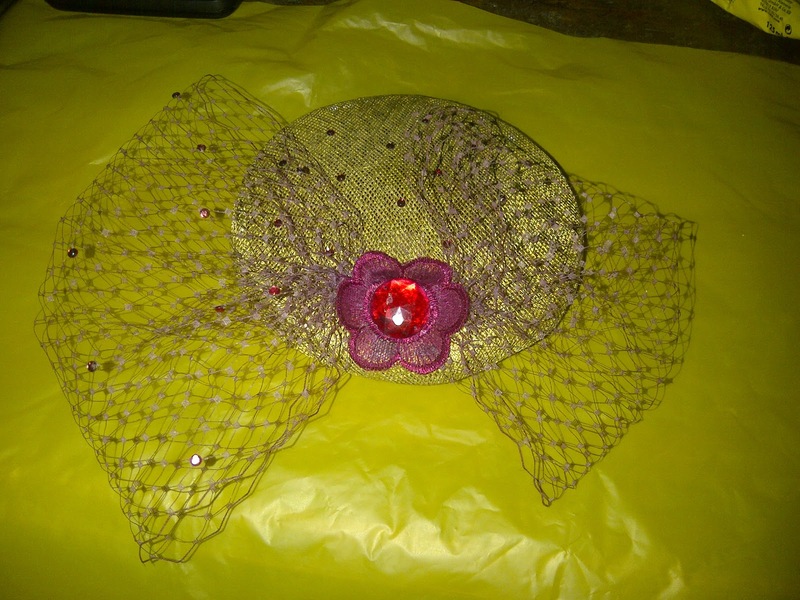 Each one will be named after the first person to order it. :D. I know; I'm too kind. You're welcome. 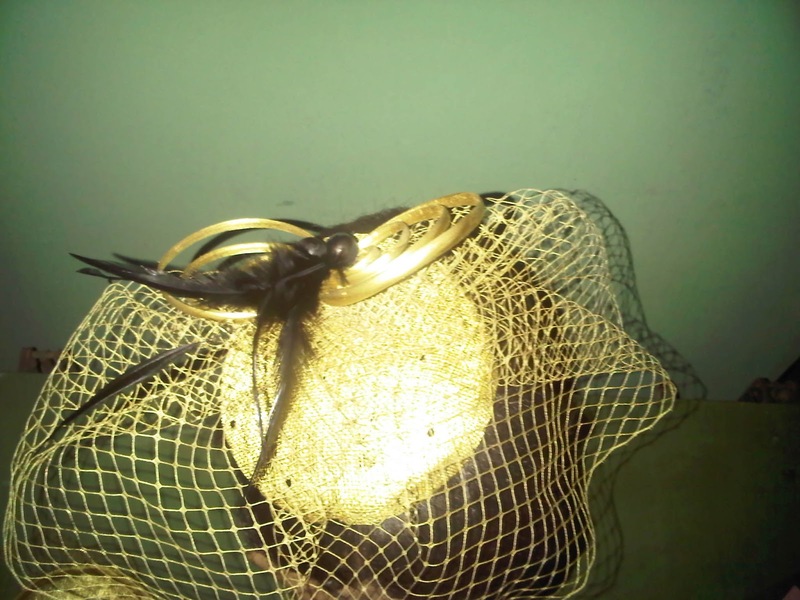 The large veil is perfect for church! 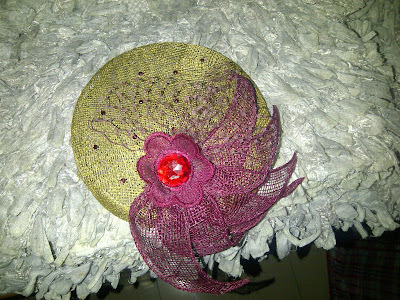 Diamante detailing on the crown. She's a looker isn't she? Fine babe. 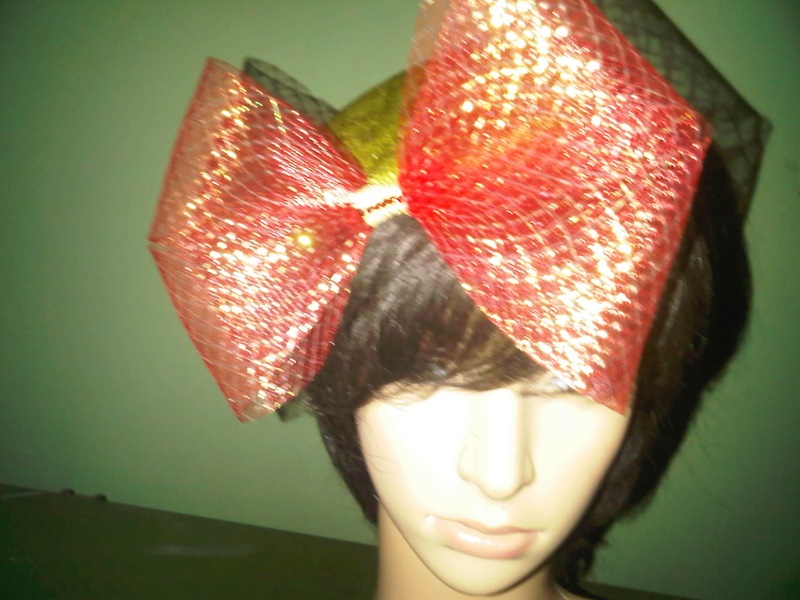 Her name is Bisoye. 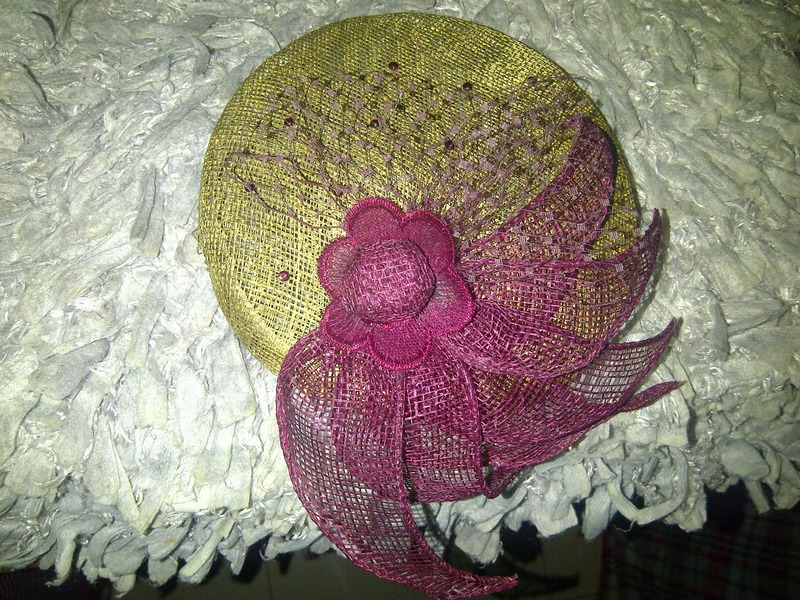 Essien, with a stone applique. She bought the first one. 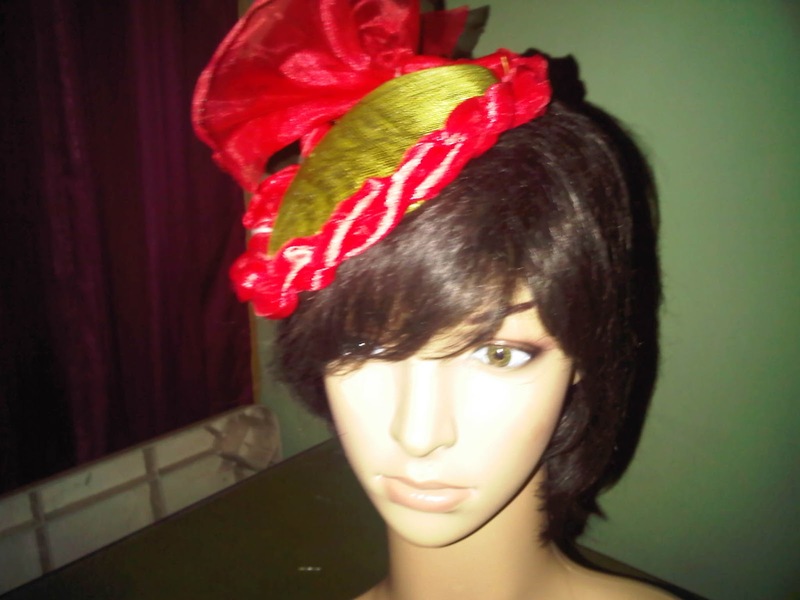 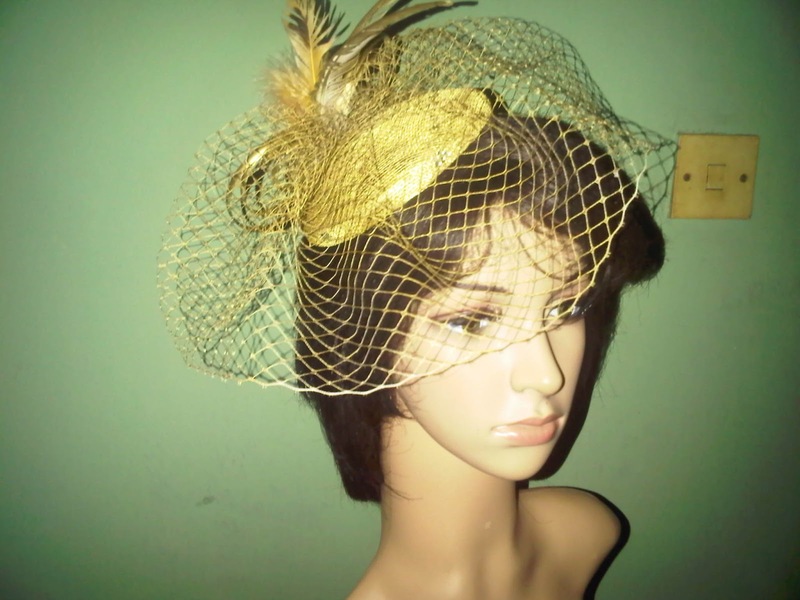 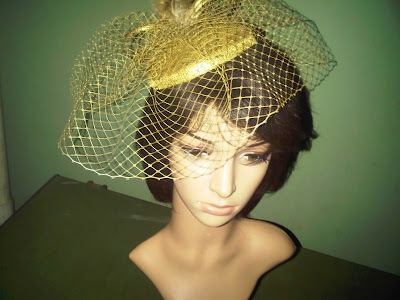 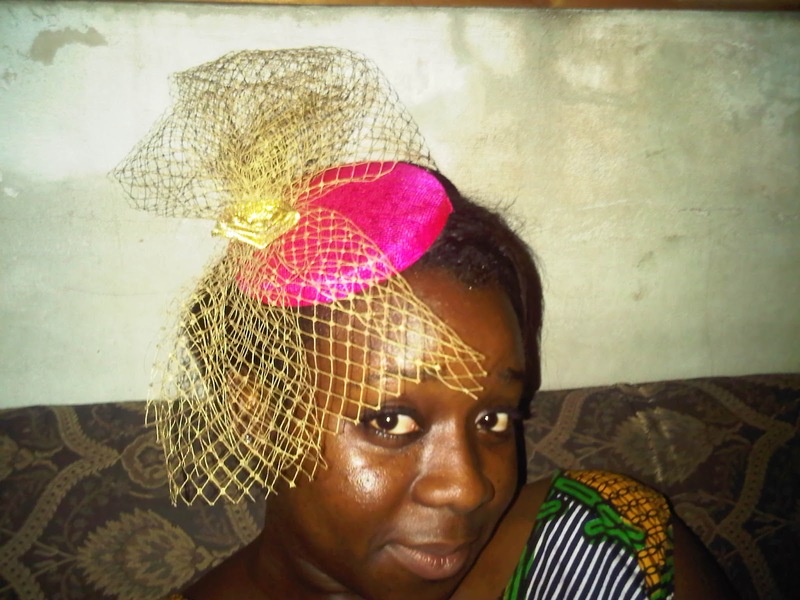 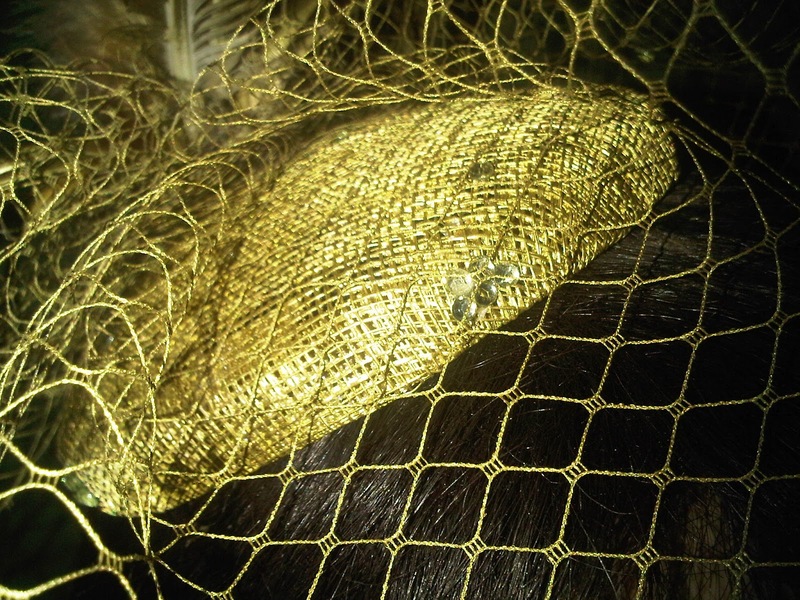 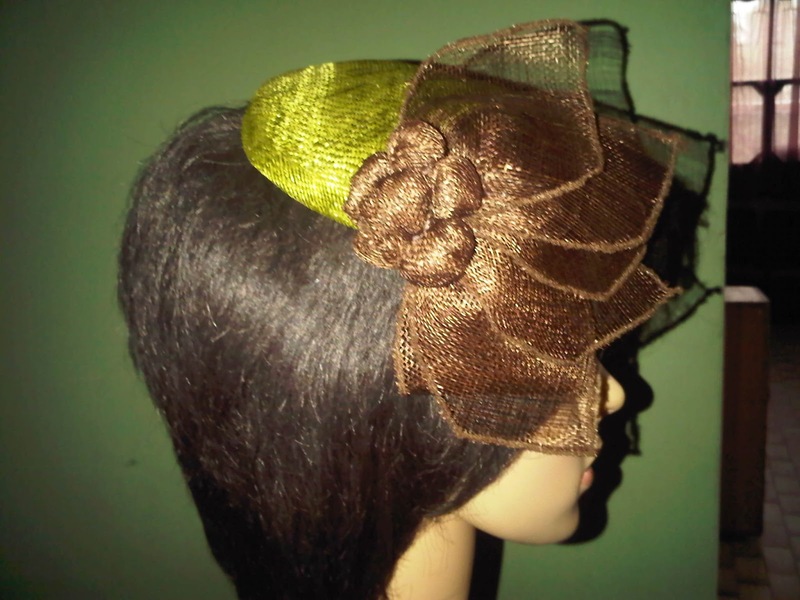 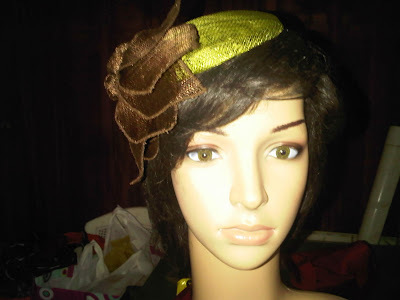 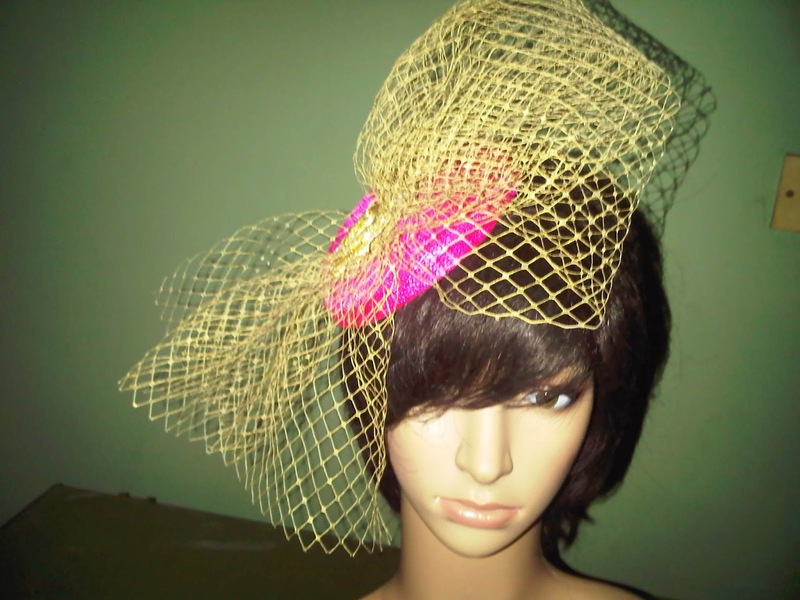 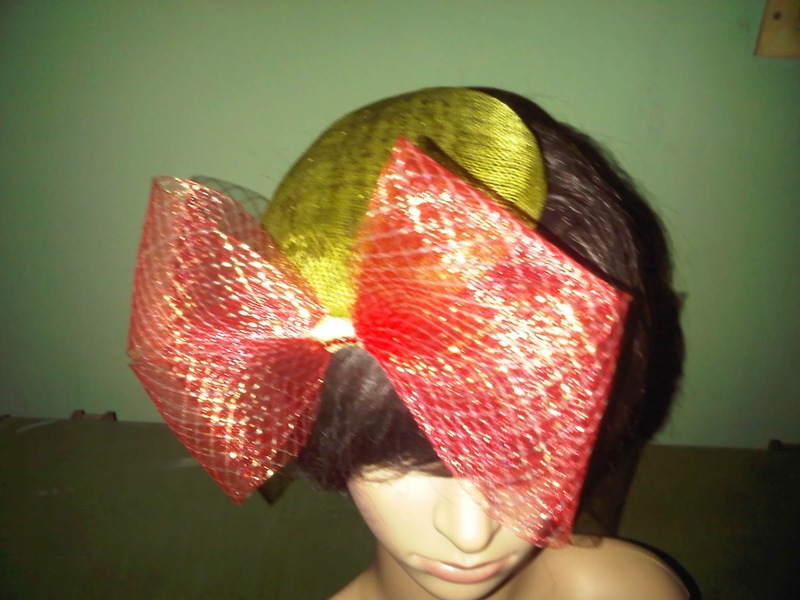 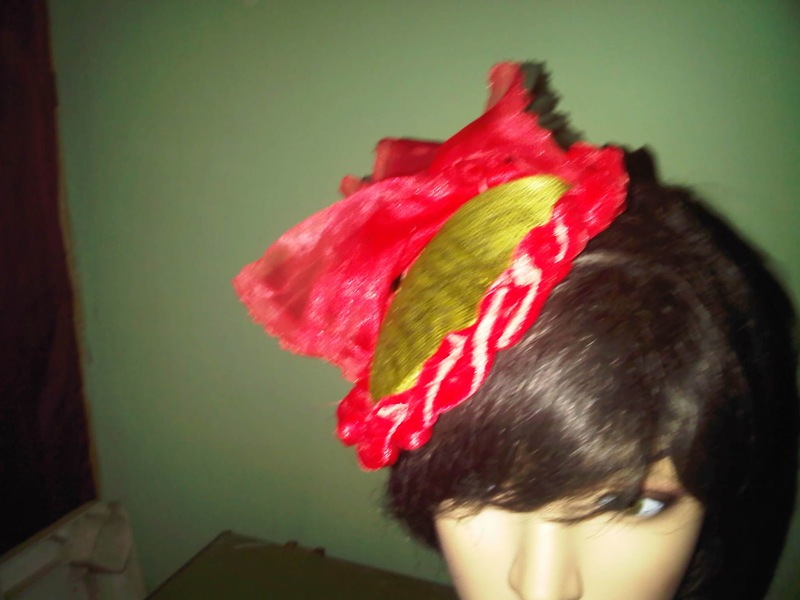 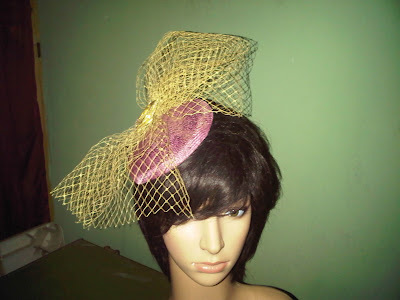 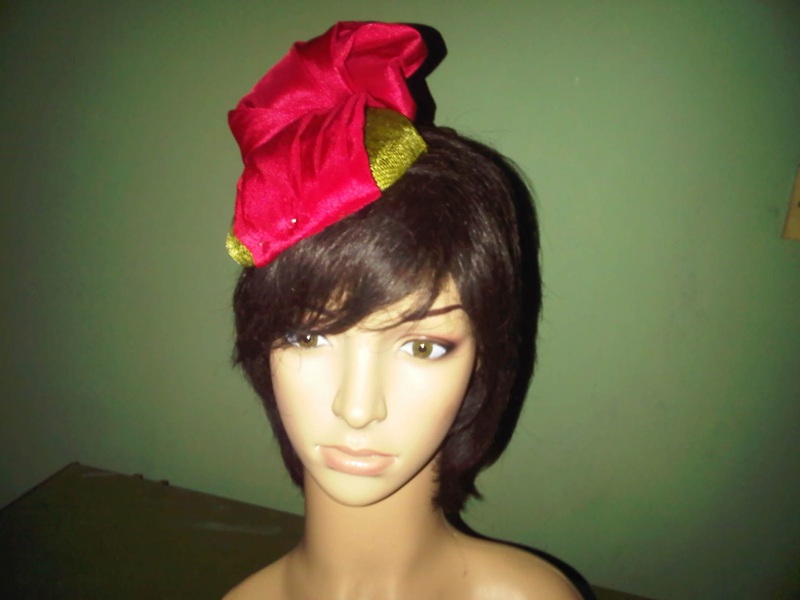 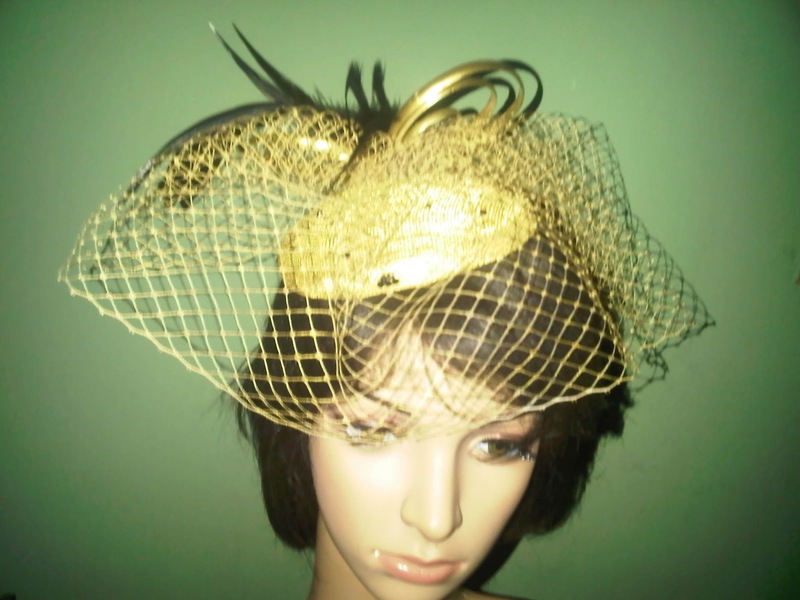 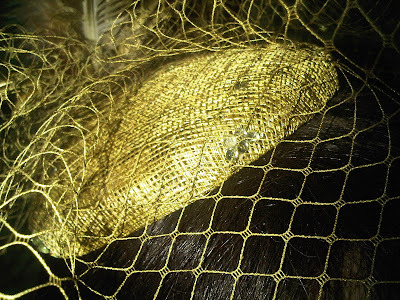 It shall be called Fascinator Essien. 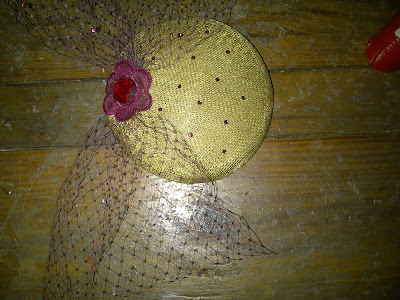 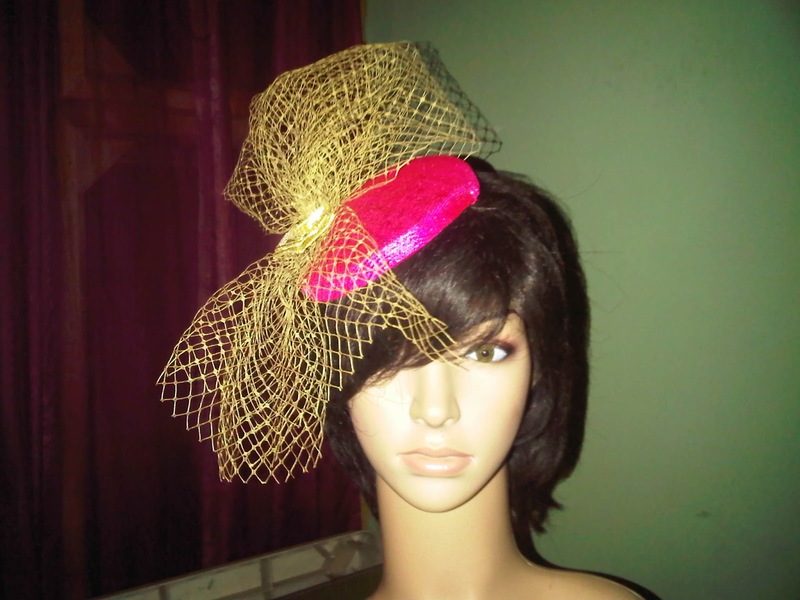 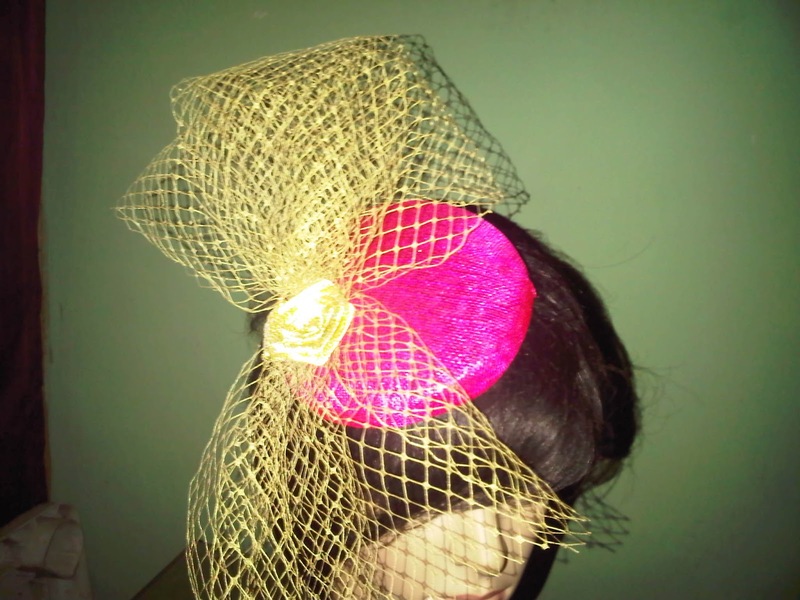 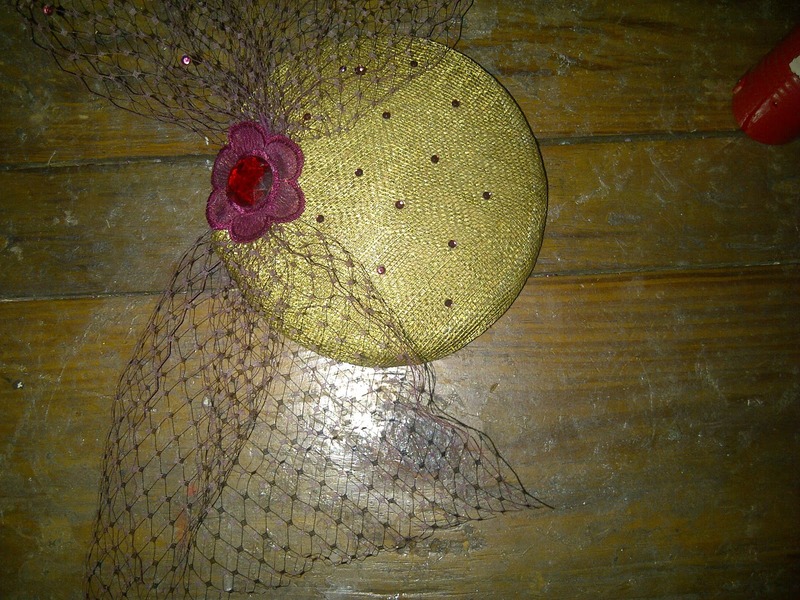 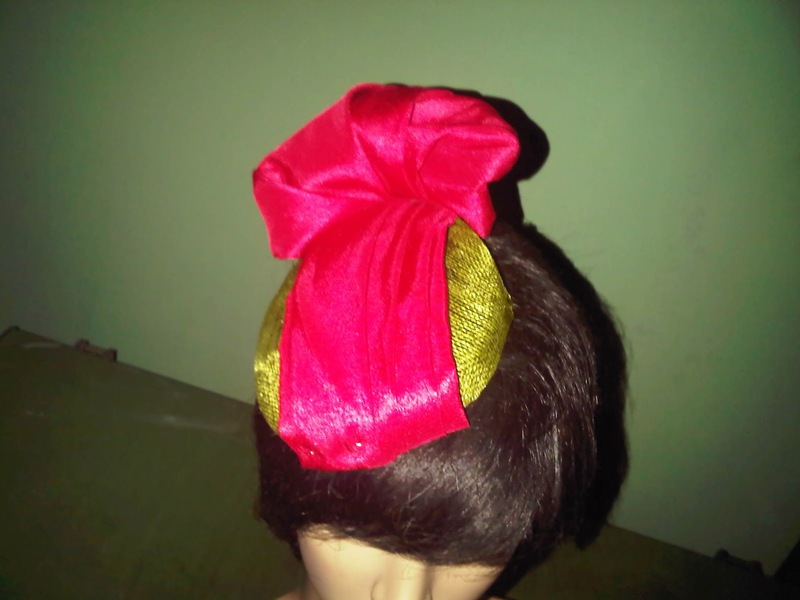 Fascinator Ola, in Fuchsia and Gold. 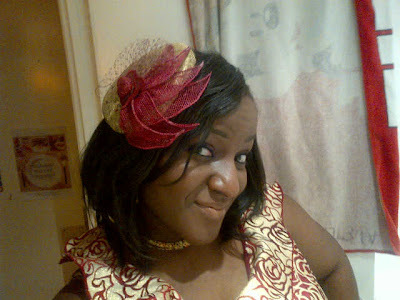 Doesn't look bad on me does it?